Ungurahui is an elegant palm tree native to the Amazon region. This tree can be seen growing in forests, on uplands as well as flood plains in Colombia Venezuela, Guyanas,Brazil, Bolivia, Ecuador and Peru in the South America. 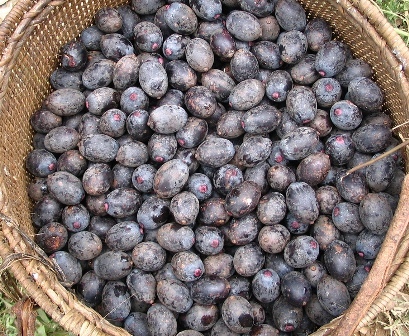 The tree bears edible fruits which are also rich in oil. A large erect tree, 10-25 m high, trunk solitary, 20-30 cm in diameter, smooth ring shaped. 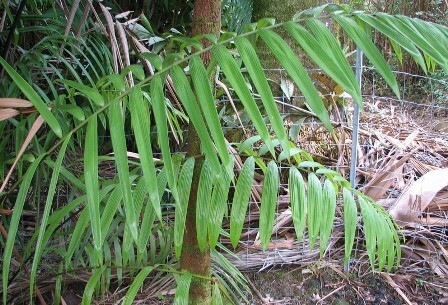 Leaves 10-16, terminal, very large, can reach upto 9 m; petiole 10-50 cm long, rachis 3-7 m long, leaflets upto 2 m long and 15 cm wide, about 100 on each side, placed in the same plane. Fruits ovoid fruits, 2.5 to 4.5 cm long and 2 to 3 cm wide, purple at maturity, borne 1200 to 2200 on a single stalk. Juice is extracted from the fruits. This juice is enjoyed throughout the Amazon, from the river’s mouth to Peru and Bolivia. It is drunk straight or mixing it with sugar. The juice is used to make a calorie-laden and protein rich drink, the equal of any “power” smoothie sold in fitness centers in North America or Europe. The juice is also made into ice cream and popsicles in various cities and towns in the Peruvian Amazon. Unghurahui fruits contain appreciable amounts of oil, similar in fatty acid content to olive oil. One or two glassfuls of the fruit juice thus quickly satiate even the hungriest person. 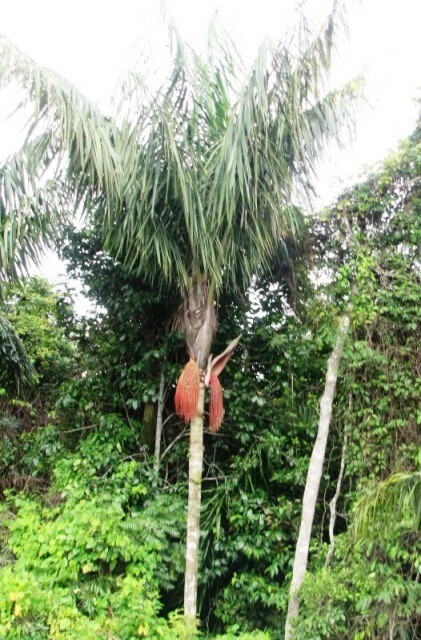 The heart of this palm is also eaten in certain parts of the Amazon, such as among the Achuar in the Ecuadorian Amazon and Yanomamo in northern Brazil. Rural folk in the Peruvian Amazon fashion makeshift baskets from the fronds of the palm while in the forest to take home game meat. Ungurahui is not cultivated. The fruits are collected from trees growing the wild.